Reserve Colonel Daniel Le Roy du Vivier was born in Amersfoort (Holland) on january 13 1915 from a Belgian father and Dutch mother. After having obtained a degree in Commercial Sciences at the Catholic University of Leuven.µ, Le Roy du Vivier enters active service as private in the 1st regiment des Guides on july 31 1935. His military service coming to an end he re-enters the military as a student-pilot on april 1st 1937. He’ll graduate with the 75th promotion. 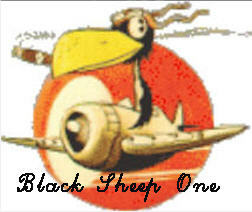 His formation finished he obtains his license on march 15 1938 and is transferred to the 1st regiment d’Aeronautique 11th group 4th squadron on September 14 1938. On may 10 1940, during the German attack , he is in Nivelles with the rank of Adjudant. Volunteering for a high risk mission he patrols with a Fairey Firefly single-seat in the area of Antwerp-Leuven-Brussels accompanied by Major Jacques Lamarche and Lieutenant Yves du Monceau de Bergendal , Daniel Le Roy du Vivier is shot down above Keerbergen by FRIENDLY fire. Because of the German push forward he is forced to go to France with his unit on mai 15 1940. After a period of inactivity the pilots receive the orders to surrender on june 19 1940. Due to this order Le Roy du Vivier and other pilots (de Henricourt de Grune, Van den Hove d'Ertsenryck, Wilmet, Willy Van Lierde, Vichy Ortmans, Georges Doutrepont, Francis de Spiriet, Roger Malengreau) decide to react and they gain Port-Vendres where they embarque on the SS Apapa on june 23 1940. On june 27 1940 they arrive at Gibraltar and at Liverpool on july 7 1940. At his arrival he is instantly transferred to the RAF depot at Gloucester , then he spends about 12 days at the 7th Operational Training Unit where he is initiated in flying the fighters in service at the time. On august 4 , Le Roy du Vivier is designated to join the 43th fighter squadron, a unit that like many others is engaged in the Battle of Britain and which will write it’s finest pages of heroism and glory in the skies. On august 8th the Staff of the RAF will add this moving message to the daily orders. “The Battle of Britain has began , members of the RAF be aware that the destiny of generations to come is in your hands”. And that same day 300 German aircraft dispersed in multiple squadrons cross the Channel attacking convoys , boats , and the different transportation and communications infrastructure. On august 16 he downs his first aircraft , a Junkers 87. During the afternoon of september 2 1940 the Germans atacked mainly the bases of the RAF which resulted in heavy combats. During a melee above Sidcup, a small town near to London, Le Roy du Vivier in poursuite on a German fighter gets under fire at 3000 feet altitude and is shot down in flames. He is able to bail out with his parachute and arrives into the garden of a young girls school !! Immediately surrounded by intrigued students armed with brooms , forks and shovels asking him if he was British or not… Having difficulties talking in the languish of Shakespear he decides to act dead being afraid his heavy Brussels accent would make him look like a German. He stays like this until the arrival of a police constable that verifies his identity and redirects him around 8 o’ clock to a hospital that evening. From september 2 to october 22 1940 Daniel Le Roy du Vivier had to stay in treatment at the Casualty Clearing Station of Tenderen ; after this he joins the 43 fighter squadron , unit in which he will remain during 27 months , first as a Pilot Officer and later as a Flight Commander and after 18 months as a Squadron Leader making him the first foreigner to take command of a RAF squadron ever. During the month of may 1941 he gets his second victory ( a Junkers 88) and downs 3 others in collaboration with his comrades. It are his brilliant acts that will have him promoted to the rank of Flight Commander. On the other side rewarded with the Croix de Guerre with bronze palms , Le Roy du Vivier see himself accorded with the permission to ware an additional palm with 3 lions. Distinction of which the valour was especially understated by the Belgian Minister Of National Defense. After this Le Roy du Vivier participates brillianlty in the operation « Dieppe » in lead of his squadron in august 1942. He undertakes 4 attacks on heavily defended enemy positions coming back time after time with a damaged aircraft. His heroism is once more rewarded by his RAF superiors which accord him to ware a “Bar” on the ribbon of his DFC. On september 22 1942 Le Roy du Vivier has to be transferred by stretcher after a mission , he suffers heavy fatigue due to the stressing life the pilots have to live day by day. He is put to rest at the Group 13 Headquarters. On september 22 1942 he is at Central Gunnery School of Suton Bridge , on February 11 1943 he his again at the 13 group headquarters and on april 7 at the 1 Personnel Dispatch Center. On april 13 1943 he is attached to he Middle East Command Headquarters. On the Middle East front Le Roy du Vivier takes command of the 239 Fighter Bomber Wing Tunis-Sicily composed of the 1 South African Sqn , the 3 and 450 Australian Sqn’s and the 112 and 260 British Sqn’s. He his appointed as Superior Officer responsible for the operations at the 324 Fighter Wing composed of the 43 , 72 , 93 , 111 and 601 Sqn’s. After the Italy campaign Le Roy du Vivier returns to the RAF on july 8 1944, on august 14 he joins the 536 Operational Training Unit and september 3 he joins the General Inspection of the Belgian Air Force. Days after the capitulation of Germany he finds himself at Fasberg with 2 Belgian Fighter squadrons. When they definitly return to Belgium to take place at the airfield of Bauvechain Wing Commander Le Roy du Vivier , seriously injured to his right leg during the combats in Sicily asks to be releaved and to join the reserve. In civilian life he will direct the Aviation department of the Belgian Shell Company. In spite of the fact he has left active duty Le Roy du Vivier remains attached to the nostalgia he has kept in his heart and the unforgetable hours spent in combat. When a first auxiliary Squadron is created in january 1950, in order to train the reserve pilots during the weekends, Lieutenant-Colonel Le Roy du Vivier takes the command. At Coxyde he organises a training camp at which 15 fighter pilots participate. The importance of the training is so that when a competition in aerial shooting skills is held between the different units of the Belgian Air Force it is the Auxiliary Squadron that takes the second place , making proof that his pilots didn’t loose their fightin abilities. Le Roy du Vivier will often fly in lead of his Squadron aboard Spitfires XIV. Daniel le Roy du Vivier is promoted to Reserve-Colonel on December 26 1955, that same year he leaves Belgium and becomes Public Relations of SABENA in the United States. He leaves the reserves on april 1 1970 having reached the age limit. Le Roy du Vivier dies in a car accident on september 2 1981…….